Rot, J.C, Bonsangue, M.M, & Rutten, J.J.M.M. (2013). 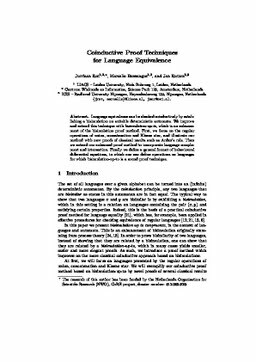 Coinductive proof techniques for language equivalence. In Proceedings of Conference on Language and Automata Theory and Applications 2013 (LATA 7). Springer.